Get 50% OFF discount on selected products at Merrell. With this promo code, enjoy 20% OFF discount on your purchase at Merrell. Subscribe to the Merrell newsletter and get 10% OFF off on your first order (excludes sale items). Free delivery & returns on all orders at Merrell. These Merrell coupons are expired. Follow Merrell and receive a push notification as soon as a promo code is available. Merrell was founded in 1981 by two former Rossignol executives (Clark Matis and John Schweizer). They wanted to start making hiking shoes and join a third partner (Randal Ivan Merrell). After a few years of collaboration, the brand was sold to Karhu and Wolverine World Wide in 1997. Merrell then diversified with trail shoes, a line of clothing and accessories. Merrell products are now sold in more than 150 countries around the world. The Merrell hiking shoes are very famous, including the flagship models that are the Moab 2 and Chameleon 7. A page with the best sales allows you to discover these models always very solicited. Standard delivery (3-5 days) is free for all orders. Express delivery allows you to receive your products quickly, usually within 48 hours for a single price of £5.50. Returns are accepted within 30 days of purchase. How to use Merrell coupon codes? Merrell discount codes can be entered during basket validation. 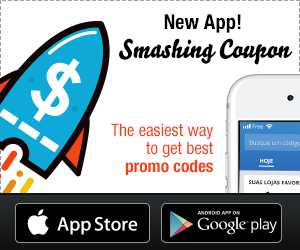 Insert the promo code at the “Apply a promotional code” field. The reduction will then be applied to the final basket.